Gardeners come in all shapes and sizes. I reckon most gardeners can fit into one of these categories. Which one do you think you are? Or which one would you like to be? This gardener has all his hedges and shrubs trimmed to perfection, as well as his lawn. Whether he has a simple collection of shrubs or a more extravagant collection, which possibly includes buxus edging, roses, colourful annuals or a simple colour scheme, you can be sure his garden will always look tidy. 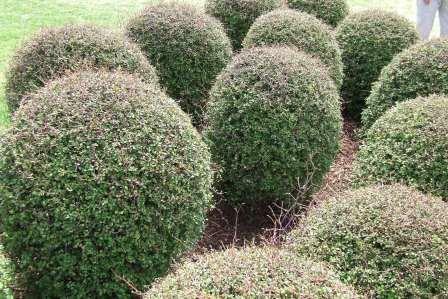 If he has an edible garden, it too will be edged with hedges or annuals and it will look almost artificial in it’s orderliness. You may have witnessed him sweeping paths daily, using a leaf blower, using a tape measure, scarifying his lawn or even trimming grass with scissors. The Tidy Gardener is fascinating to watch. At the same time as we feel sorry for him expending so much effort, we can’t help but feel a bit inadequate when we look at his impossibly tidy garden and think of our own. This gardener has a penchant for growing almost anything and his garden overflows with plants of all shapes and sizes. He will most likely have a vegetable garden, stuffed full of edibles of all descriptions, almost exploding in it’s magnificence, or else vegetables busting out of his flower beds. He may also have an exuberant collection of ornamentals; lots of flowers and foliage plants of all sorts of colours, not in orderly arrangements but keeping the garden full of life. The Overflowing Gardener is a good one to know; he will undoubtedly have excess veges or plants to share with you due to his unwavering desire to grow too many things and not let anything go to waste. He will readily accept your offcast plants too. He has a penchant either for plant shopping; seeking out bargains and indulging in impulse buys, or for plant and seed finding; utilising his cheap or free finds to grow more plants. This gardener doesn’t have a big garden, but makes the best of the space he’s got. He is a master of finding growing vessels and places to fit plants, using pots, planters, vertical gardens, balconies and anything else he can think of. 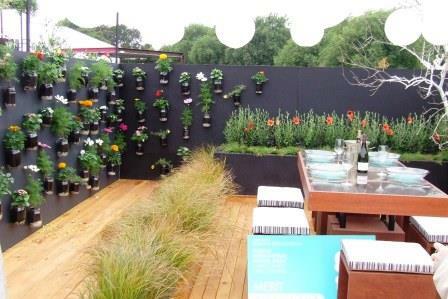 He may focus on flowering displays, herbs and veges or a little bit of everything. He may have more elegant tastes, preferring ceramic planters, tidy wooden planter boxes or pretty window boxes, he may be a recycler, using all manner of items he has found – old tyres, old drawers or pallets, or he may be somewhere in between. Whatever the case, the Tight Spaces Gardener is creative. He will inspire you with ideas to take home and try and will make those who say they don’t have space for a garden feel silly. This gardener has a large and magnificent garden, which provides him with never-ending gardening tasks. 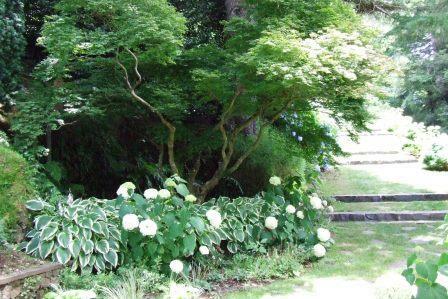 It could manifest in any number of styles, but there will be trees, shrubs and perennials. He will most likely have an edible fruit and vege garden and a herb garden within his grounds. He will spend copious amounts of time tidying, planting and maintaining his garden and will sometimes wonder why he does it. Nonetheless, the Never-ending Gardener gets joy out of his efforts and is rewarded with praise from garden visitors. Upon visiting a Never-ending Gardener’s garden, you will find yourself desiring a bigger garden of your own and possibly trying to replicate plantings you have seen there in your own garden, only to discover they don’t pan out on a small scale. Just remember, you haven’t seen how much time he spends looking after his garden. This gardener is not necessarily an expert gardener, but rather makes it a point to research and learn about plants; their names, their features and their habitats. 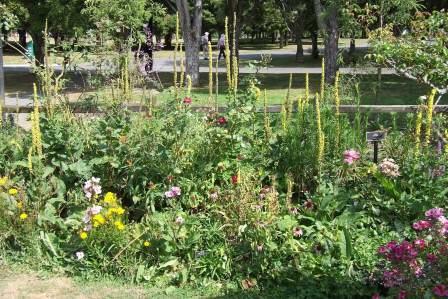 He will usually focus his garden on a particular style or type of plant that interests him, such as a native garden, a water garden or an edible garden, or he may have different collections of plants within a garden. The Knowledgeable Gardener will know the name of pretty much everything in his garden. If you point at a plant and say, “What’s that one?” he will no doubt be able to tell you it’s name (bonus points for its botanical name), how to grow it and where to get it from. He may even do that within your garden, making you feel less intelligent. Remember, this doesn’t mean that he knows everything, he just likes to learn and ‘know’. Unless he’s super-arrogant, he will still relish your knowledge of things he knows less about and will enjoy helping you to learn. This gardener focuses almost the entirety of his garden, or even his house, on a particular group or family of plants. It could be alpine plants, succulents, conifers, rhododendrons, rare bulbs or something else. 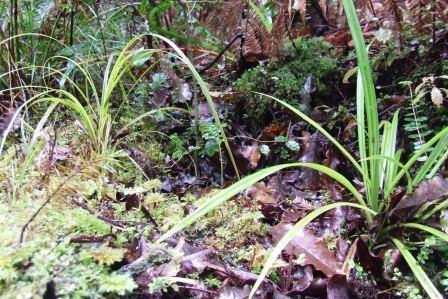 He is driven by a fascination for his selected plant group and a desire to collect many specimens of that group. He will happily propagate and possibly breed plants from his chosen niche. He may get carried away with his collection in his bid to ‘have them all’, being susceptible to plant shopping wherever his special plants can be found. 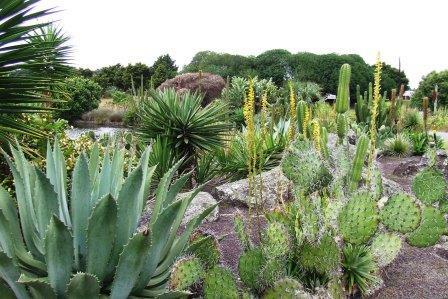 A visit to a Niche Gardener’s property will either leave you in awe at the expanse and detail of his collection or will freak you out at his obsession, especially if the collection is taking over his house. Whatever the case, he will share with you plants, cuttings, seeds or at least advice in a bid to expand his niche into your world. This gardener is characterised by a casual interest in gardening: he likes having a garden but doesn’t put a lot of time and effort into it. His garden could take any number of forms, or quite possibly multiple forms, as it is not a planned exercise for him. It may be that he is too busy for a focused garden or that he just likes to keep it as a spontaneous leisurely activity. The Casual Gardener will often morph into another type of gardener, especially if he is encouraged by green-fingered friends, but may also decline into a non-gardener if he lacks the motivation to keep going. Alternatively, he may spend the rest of his life as a Casual Gardener. You may think he has nothing to share, but just because he doesn’t know everything that’s growing in his garden doesn’t mean there aren’t gems hidden in there for visitors to discover. Just think carefully about what plants you give him, as their survival rate may be a little ‘different’. If you’re a new gardener it may take a couple of years to find your gardening identity. Now, which gardener am I?